You’ve purchased a food truck and your journey as an entrepreneur is beginning. Food truck businesses are growing around the United States, adding a new spin to convenience and great service. Getting your truck shipped out to your location or anywhere you want to do business is a big step. One thing is certain – you need a food truck shipping service that you can rely on. We Will Transport It offers a reliable heavy shipping service suited to your food truck, trailer, or any large equipment. Find out how we can help you to get your business set up anywhere in the United States. Food Truck Shipping and trailer types are just as diverse as the different portable restaurants that have been set up around the nation. When you need a food truck hauling quote, you need to be sure that the shipping company has the skills and experience to move your vehicle. Food Truck Shipping. Food trucks are undoubtedly the most popular choice for franchises and startups today. Food trucks are licensed vehicles that can move under their own power. Your food truck could be loaded with expensive equipment that is integral to your business. Put your trust in reputable food truck shippers who will protect your investment. Food Cart Shipping. Food carts are also popular, and they’re a little more flexible because they can be set up in areas that aren’t suited to larger catering and hospitality trucks. Carts don’t move under their own power and need to be delivered to a location before opening for business. If you’ve ordered a cart from out of state, you can rely on our food truck haulers and their expertise to deliver your cart. Food Trailers. Similar to food trucks but with one unique difference – food trailers need a vehicle to tow them to their location. Maybe you’re ready with your own truck for transporting your trailer around your city. But are you prepared to ship a food trailer thousands of miles from the manufacturer to your town? You can get a food truck hauling quote to deliver your trailer anywhere in the United States. Bustaurant Transport Service. 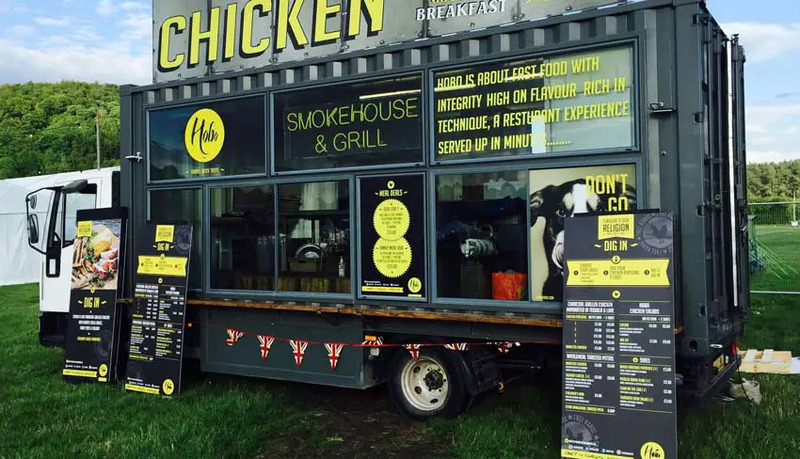 Creative entrepreneurs may be familiar with the emerging ‘bustaurant’ trend. Full conversion buses can be turned into mobile restaurants with seating, kitchens, and storage areas all contained within a single vehicle. Moving a heavy bus loaded with cooking and dining equipment is a big job, particularly when shipping from city to city or state to state. Our food truck shipping service can move even the heaviest buses for your new business venture. No matter what you’re moving, whether it’s a few smaller food carts or a large truck or trailer, our food truck haulers can offer a safe and professional service at a competitive price. 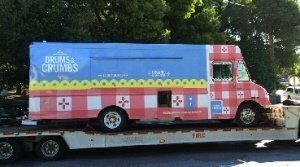 You’ve made a significant investment in your food truck, so it makes sense that you should hire a reputable transporter. We Will Transport It has extensive experience in shipping and logistics for large vehicles and heavy equipment. We have a network of the best shippers in the United States, and our carriers are fully vetted and DOT compliant. Shipments are insured. You can also avail additional insurance for particularly expensive equipment and complex inventories. Don’t leave your investment in the hands of anyone but the best food truck shippers in the United States. Our service is one of the most trusted in the nation. We are accredited with the Better Business Bureau and maintain an A+ rating thanks to our unrivaled customer service. You can view our five-star reviews right here on Transport Reviews, or head to our Google Business page for even more of our positive customer feedback. Knowing that you can trust your shipping service is essential. Our food truck shipping service offers peace of mind for any project. Need a free quote? Contact us for the price to ship a food truck today. Ready to move a food truck over long distance and take your business to the next level? Trusted shipping experts, the best customer service, and a track record of successful journeys – you can get it all at We Will Transport It. Contact us today for a Food Truck Shipping quote and get the most competitive rates in the industry. No matter how big your truck is or how far you’re going, we can offer a service with advanced logistics to save you both time and money.